Jeffrey L. Fannin, Ph.D. (Psychology) has been involved in neuroscience research for over 15 years. His extensive experience includes training the brain for optimal performance to improve brain function and enhance mental and emotional dexterity. His groundbreaking work on the connection between neuroscience and leadership includes work at the United States Military Academy at West Point and as part of a research team at Arizona State University. "The paper written by Jeffrey L. Fannin and Robert M. Williams, entitled “Neuroscience Reveals the Whole-Brain State and Its Applications for International Business and Sustainable Success” [from USA]; discusses the fascinating aspects of the recent development in neuroscience and their applicability to management and leadership. The authors discuss number of studies in neuroscience of consciousness that provide some insight into the interrelatedness of subconscious belief patterns with behavior that affect decisions made by business leaders, and indirectly affect their overall performance in business. 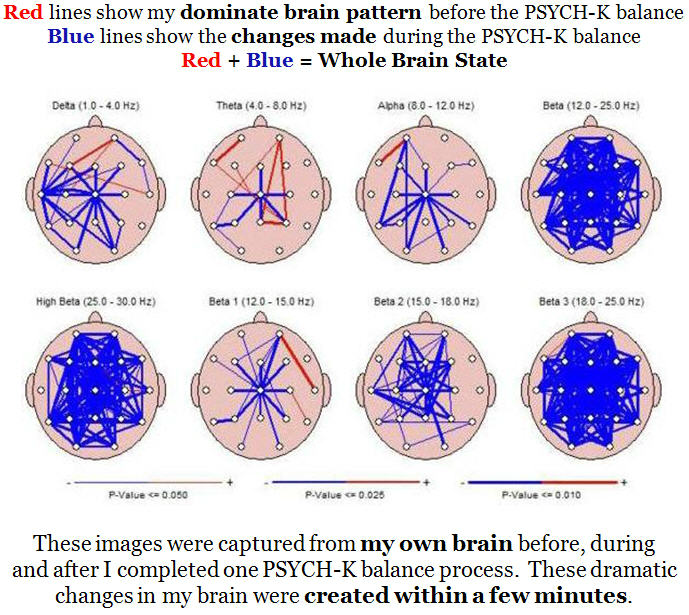 This paper presents research that associate the mind/brain interface, displaying empirical evidence of what the authors describe as the Whole-­Brain State (a bi-lateral, symmetrical brain wave pattern) and how it causes sustainable success and some potential implications it has on international business." “Since working with Balanced You, I am more confident, bold, centered and fearless! I hit top sales person of the quarter with a new deal I closed this week. I would never have done that without the help of Balanced You. “I recently completed the Balanced You Ultimate Success Program. After working with Balanced You I am able to stay focused at work without letting distractions upset me or stress me out. I am engaging better with the colleagues that report to me and have been able to keep them focused at work as well. I have increased my production at work and we have met and exceeded our goals for the year. I could not be happier. I am able to relax more at home and not stress about work on the weekends. I am more confident at work and feel very proud of my accomplishments. I am amazed at how this process made such a difference for me. Did you know, according to scientists, your subconscious mind is running you. You may think that you are consciously in charge of your life and your success, but scientists have discovered that 95-99% of the time, we are being run by our subconscious mind. You mind is never without a goal. You mind is either supporting the creation of your goals or blocking your success. The subconscious is processing 40 million bits of information per second and we don’t even realize it’s happening. We think our life is happening to us but we are creating it from the inside out. Our life and our success or lack thereof is literally a print out of our subconscious programming. These programs keep you in action and success or fear and scarcity. What programs are you running? If you business and your success does not look how you want it to look, it’s simply because you do not have a subconscious program to support that goal and bring it to fruition. If you don’t have the time, money and freedom you are looking for, we can help you change that with the power of your mind. Don’t try harder, reprogram your mind. That way, instead of struggling to achieve, it will come naturally, even automatically. You will find a new ease like when you put two magnets together and they are attracting each other instead of repulsing each other. Imagine feeling a huge shift within yourself like that. That success is now attracted to you and all you have to do it act! The first step in our program is to figure out what you want different in your business and with your success. What do you want different? Share that list with us so we can help you program those goals into your mind to create your new reality. We love to work with you at least quarterly on reprogramming your goals into your subconscious mind while you work though our online program to build up self esteem, self worth, personal power, prosperity and more. What the mind believes, it achieves! It really is that simple, powerful and effective. You have to get into the subconscious, and change the programming if you want to transform your level of success. There is no easier path to success and joy. 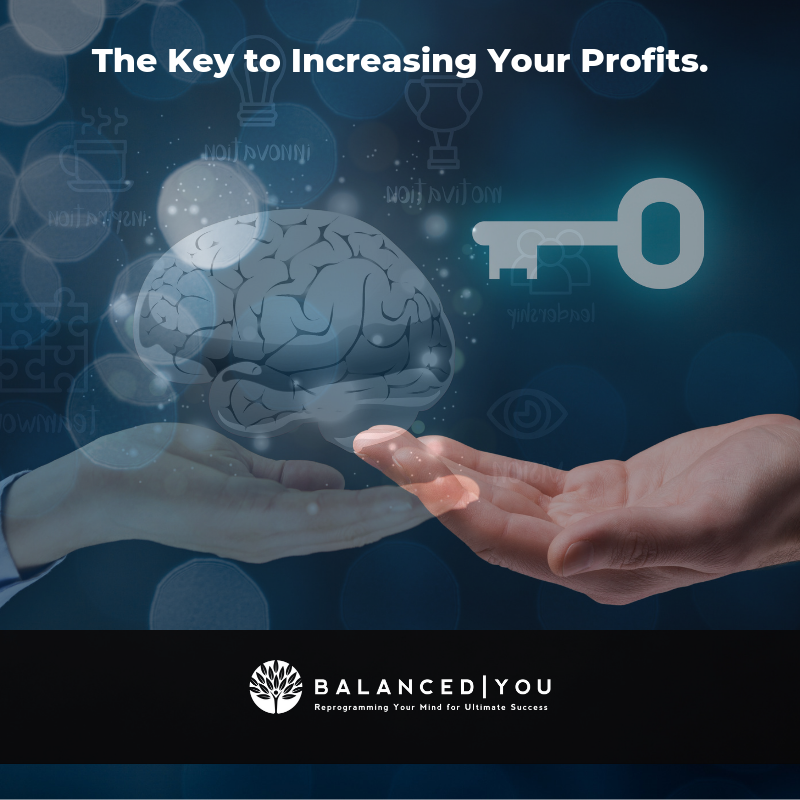 At Balanced You, business owners and their teams hire us for ultimate success because so many are stuck in self sabotage, mind chatter and limiting beliefs, so we help them set up a new automatic operating system so they can accomplish their goal of more money, more time and more freedom. To change the mind, it only takes minutes when using the powerful process we use. See the brain map above to see what you can do to your own brain during our process in just minutes! Our founder, Jenny Harkleroad had so much success with this process that she left a multi-million dollar business, sold her big home, and started over helping others transform their lives with the power of their minds. Not only did Jenny find great success with this process and build up another world wide business in a couple short years, but we at Balanced You have the same great success with our clients. They easily create more money, more time and more freedom. They also find peace, joy, happiness and ease. Think of how often you update your phones and computers and technology, but when did you last reprogram your mind? It’s time for a brain update so you can turn your goals into your reality. After reprogramming the mind with Balanced You in person or on line (it works the same as we walk you through the process in our office or online,) most notice dramatic changes in their life and your business success. You do not have to try to be different, you are different because of the mind reprogramming work you did. It really is that simple! Are you ready to take your success to a level your never thought possible. The power of your mind can get you there. Are you ready to transform your success? We'd love to assist you in that process. Ask yourself, how is your business now? How would you rather it be? Schedule a no cost, 30-minute Balanced You intro call with us to discuss the changes you want in your business.